Have a hankerin' for Pizza, but want to use some of your Joseph's Grainery Soft White Wheat? Then this pan bread recipe is definitely your answer! It was delicious! We hope that you enjoy it as much as we did! Directions: Preheat your oven to 425 degrees. Place all of the dry ingredients in a large mixing bowl, create a well to receive the wet ingredients. In another bowl, which together the honey, olive oil and water; pour into the bowl with the dry ingredients and mix well. Form the dough into a ball and then roll it out to the size of your pan on a lightly floured surface. 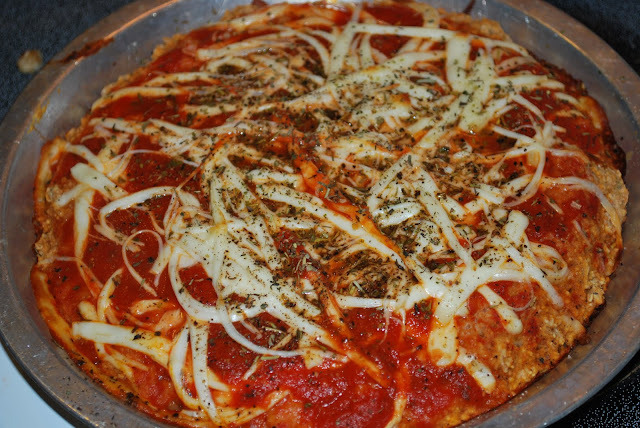 Lightly oil your pan and then place the dough in the pan and top with the tomato sauce, cheese and seasoning. Bake for 18 to 20 minutes.